The Buick Enclave is a luxury crossover sport utility vehicle that seats 7 and offers ample cargo space. Despite the size, the Enclave is a quiet ride and the all-wheel-drive system, which operates full-time, automatically adjusts to the road speed. The Enclave comes with 6-speed automatic transmission benefits from special gearing which makes it fun to drive. Head over to Car Credit Tampa to take a used Buick Enclave for a spin. You can shuttle clients or cargo from one end of town to the other in luxury. Let’s not forget the kids to the next sporting event and all of their equipment that comes with an active family. The used Enclave has 16 miles per gallon city and 22 miles per gallon highway and can tow up to 4500 pounds. 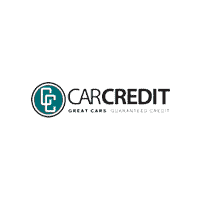 We at Car Credit Tampa can help put you into a used luxury sport utility vehicle. Buick has decked out the Enclave with stylish lighting, crisp graphics, and genuine wood trim. There is standard Bluetooth for a cell phone link. The front seats are powered bucket seats, and the tailgate has a standard power opening and closing. This will make putting cargo in the back easier for you and your passengers. You can haul a lot of people or equipment in the used Enclave. There are 23 cubic feet of cargo room just inside the tailgate. Put the third-row seats down, and your cargo space has increased to 67 cubic feet If you still need more room fold the second-row seats down and you now have 115 cubic feet of storage. There is also an additional four cubic feet of storage space under the red cargo floor. Make sure to check out our new series “Gio’s Test-Drive” where we showcase and test-drive our Car of the Week.